The farm "Floriculture Varanese" was founded in 1970 by Pedetti Paolo, although the origins of this work tied to the land are older and date back to his father Cesare who at that Casbeno (Varese) since the early post-war years has always cultivated vegetable growing and tunnels and then sell them to the then market hall of Varese. The activity was originally very simple and conducted in strictly family level, with the production that took place in a small plot and a few iron arches, which formed the structure of the "tunnel" where cultivate fruits. 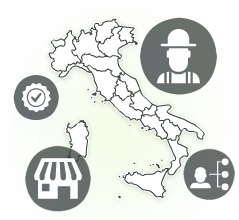 The growing economy of those years and the commitment to a life dedicated to hard work, such as horticulture, Caesar brought slowly to open a shop in Varano Borghi where to sell their products taking up the way of business. It is these years of economic and urban development being, generated thanks to nearby industries of that period, which contributed to the gradual shift of the horticulturist in that of "Farmer Green" for ornamental purposes. But the real turning point came with the entry in the company of his son Paul (1970) that starts the main change in production activity. A new field, that of nurseries and gardening, which soon saw its development into a concrete promise for the future. 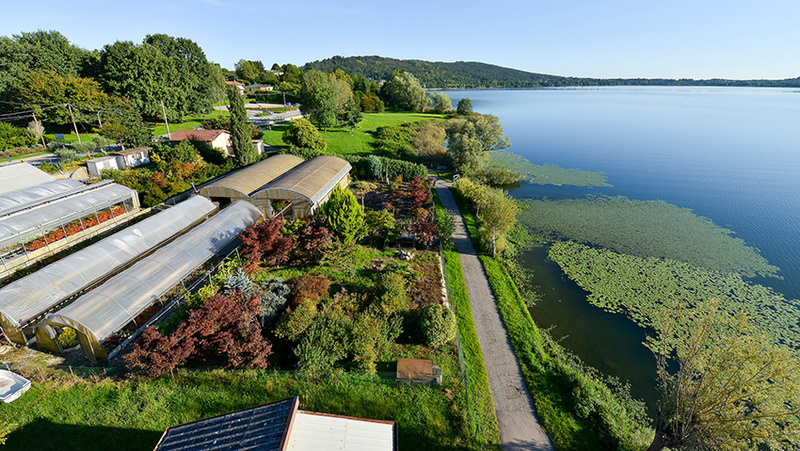 The land flounced by the lake Comabbio where today stands the garden, is the same as in the 70 Caesar, with an annual lease, cultivated for the production of ornamental plants. The productions of those years were limited to a few varieties and mainly acidophilic, such as azaleas, rhododendrons and camellias, but also annual flowers such as violets, begonias and other varieties growing under the same tunnel where once were cultivated vegetables. In 2005 with the death of the founder, joined the company his namesake nephew, Caesar, after graduating as Agrotecnico Minoprio at the school. The result of so much effort and professionalism once available to anyone who will now talk to our store, is there for all to see and has a reality of over six hectares, divided between nursery, tunnels and iron / glass structures where they work today three family members plus four employees. Strong experience and a passion that has been handed down for three generations, as Pedetti family we are always in touch with customers who come to us to try to meet every request, both for the maintenance or creation of green spaces for the purchase of nursery stock and ornamental, as well as fresh flowers for ceremonies and gifts.